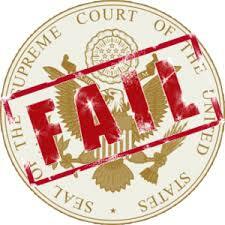 SCOTUS Balks at Making a Decision: Freedom Suffers. Today, the Supreme Court (SCOTUS) refused to rule in a case which pinned the right of pro-life activists to publicly display images of abortion against the right of children not to be exposed to gruesome images. Here is a link to an article from World Christian News. This is such a thorny issue, I don't blame the SCOTUS for deciding to stay away from it, but I am afraid their silence will provide the pro-abort side with a powerful weapon. As a father I see how I would do everything in my power to protect my kids from the gruesome reality of aborted babies. As a prolifer, I'm of the same mind as Father Frank Pavone, from Priests for Life: the only away Americans will wake up to the horrors of abortion is by been exposed to the product of this inhuman medical procedure. With their silence the justices upheld decisions from two lower courts in Colorado, which ruled in favor of preventing the display of these images when children are present. The lower courts said that there is a “compelling government interest in protecting children from disturbing images.” Which makes me wonder where are these judges during primetime TV, but that is another issue. My biggest concern is the ramifications of this decision by the Colorado courts; as now the pro-abort side could turn children into "human-shields" to prevent the education of adults. It would be a disturbing precedent if children start appearing at Planned Parenthood abortion mills to be used as a legal tool against the freedom of speech of pro-choicers. The 2014 March for Life is going to be interesting. One thing is certain; I don't think we have heard the last of this.